Face masks are one of my favorite skincare products because they deliver immediate results and they are super fun to use, especially the peel-off kind! 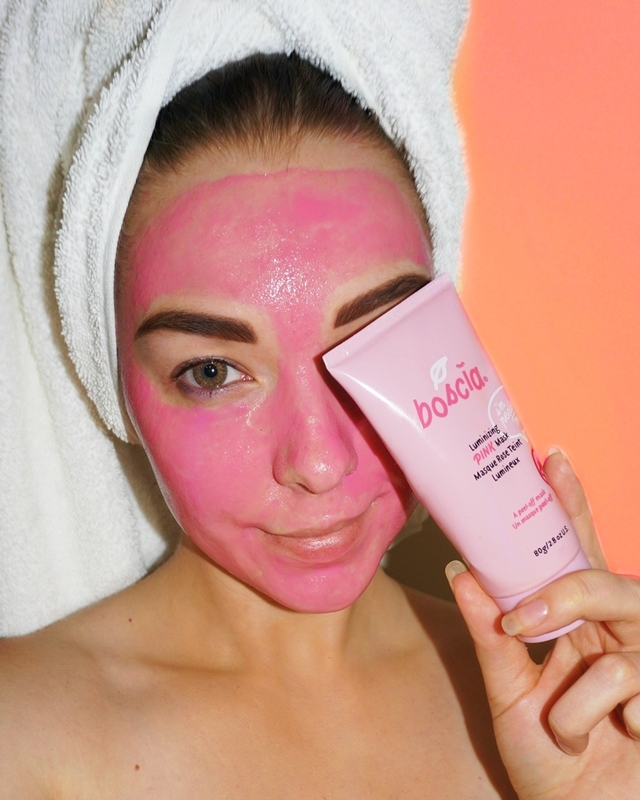 Today we'll be taking a closer look at my current favorite peel-off mask, BOSCIA Luminizing Pink Charcoal Mask. If you are familiar with the skincare brand BOSCIA then you most likely have already tried, or at least heard of, their best selling mineral-rich peel-off mask Luminizing Black Charcoal Mask. Well, Luminizing Pink Charcoal Mask is basically the same thing except it's pink. Housed in a pink squeeze bottle, this mask contains detoxifying ingredient like activated charcoal and other minerals which helps to remove dead skin, brighten the skin and shrink pores. BOSCIA Lumizing Pink Charcoal Mask has a very, for the lack of better words, gloopy texture. So it is very thick and very sticky, but it is still very easy to work with. The mask can be applied with a makeup brush or just simply your fingers. I have tried applying the mask both ways and found applying it with a makeup brush to be a lot easier and cleaner. The application process of the mask is very simple, you just simply apply a thick even layer onto dry skin making sure to avoid eyebrows, hairline, and lips. 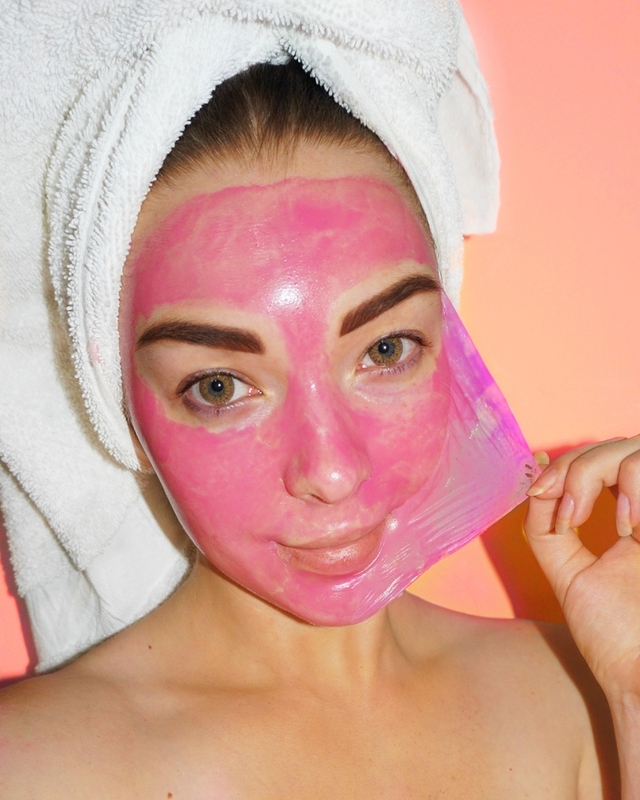 After it is applied, it takes anywhere between 25 to 30 minutes for the mask to fully dry. Once dry, the mask can be gently peeled off to reveal brighter and healthier looking skin. I personally absolutely love the Luminizing Pink Charcoal Mask, not just because it's pink and fun to use but also because it does what it claims to do and it does it well. I usually only use this mask on one of my days off, since it takes quite a bit of time for it to dry. Prior to applying the mask, I also like to properly exfoliate my skin and to clean out blackheads from the pores on my nose and chin using the blackhead removal tool to ensure the mask will work to the best of its ability. My favorite part of the mask is definitely where I get to actually peel it off, but I know for some people this will actually be the most dreaded part. Although this mask is not strong enough to be able to remove blackheads from your pores, it is strong enough to remove "peach fuzz" and dead skin of your face. So if you have a very sensitive skin or a lot of facial hair this might not be the mask for you. However, if peel-off masks and bright colors are your thing then you will absolutely love the Luminizing Pink Charcoal Mask, but keep in mind this is a limited edition mask so grab a bottle (or two) while you can.